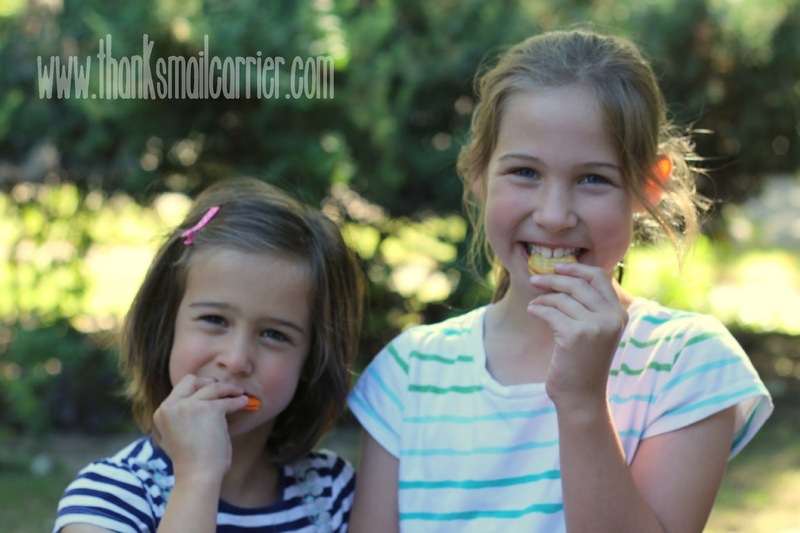 I am fairly certain that no matter how much or how recently my children have eaten, they will always be hungry. Has anyone ever tried the eating-every-hour meal plan to see how it would work? Because I have two volunteers that would love to be a part of that trial! Along with ensuring that my two bottomless pits eat breakfast and have a filling lunch, I also know the importance of having tasty, healthy, easy snacks that can be quickly pulled out after school, on the way to a soccer game, after extracurricular activities, and more. After our introduction last month to Lance Quick Starts and our discovery at just how perfect they are for breakfast, there was never any question that we would be just as excited about having Lance's classic trio of sandwich crackers and cookies — now featuring the brand's best peanut butter ever — throughout the day as well. 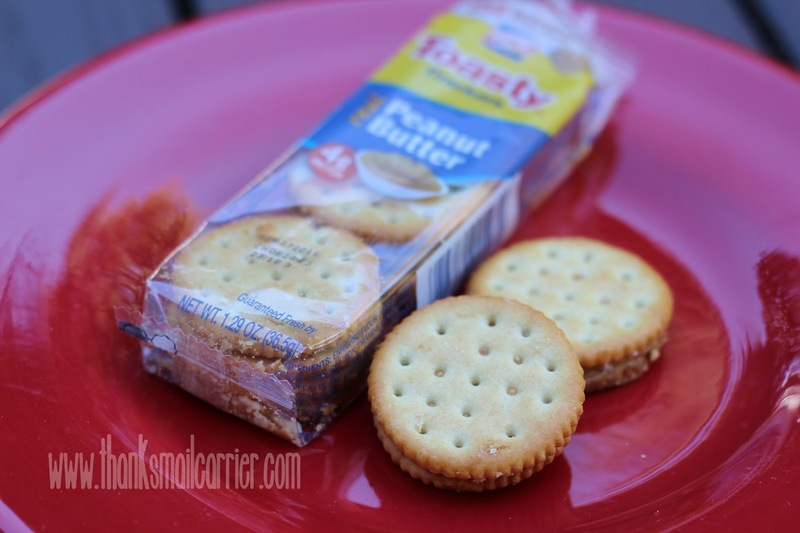 It was time to dig in to Lance peanut butter sandwich crackers and cookies! When it comes to that incredible filling between Lance's delicious sandwich crackers and cookies, one beloved favorite is their homemade peanut butter – Lance makes 18 million pounds of homemade peanut butter each year! Even better, they recently enhanced this classic filling to bring out even more of that delicious roasted peanut flavor and just the right balance of sweet and salty. It's no wonder that Lance is excited that their classic varieties of crackers and cookies now all feature the best peanut butter in Lance's more than 100-year history! Available in three different varieties, my girls and I had a hard time deciding which tasty Lance sandwich crackers and cookies to try first! ToastChee – This iconic cracker has been essential to snack time for more than a century. With real peanut butter, toasty baked crackers and 5 grams of protein ToastChee keeps you fueled for your next great adventure. 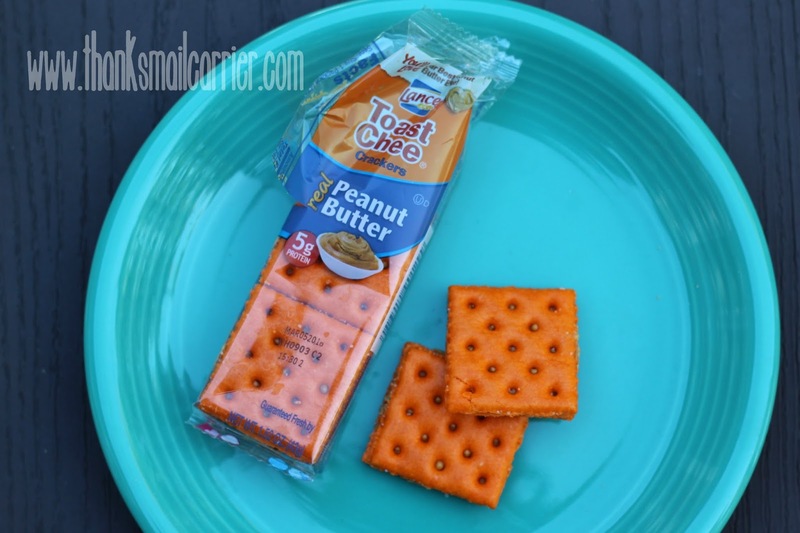 Toasty – Enjoy Toasty crackers for a mouthful of real peanut butter and baked cracker goodness. With 4 grams of protein, hunger won't stand a chance. Nekot – Real peanut butter sandwiched between two baked cookies. 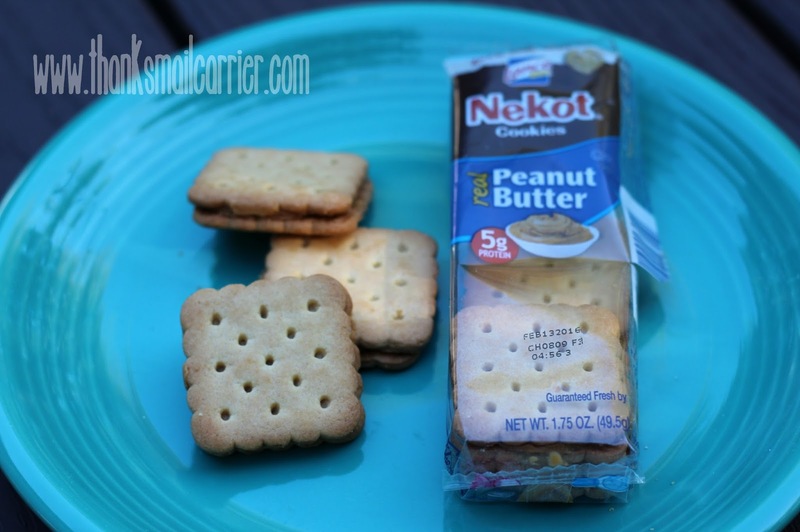 Nekot is every peanut butter lover's dream! Just as expected, my kiddos were extremely enthusiastic about all three of the Lance sandwich crackers and cookies with peanut butter and had a difficult time choosing one favorite. In the end, Little Sister B was especially partial to the combination of sweet cookies with salty peanut butter in the Nekot. Big Sister E, on the other hand, declared that the Toasty "are angels! They're angels!" which made me scratch my head but seems like just about the highest recommendation possible, doesn't it? 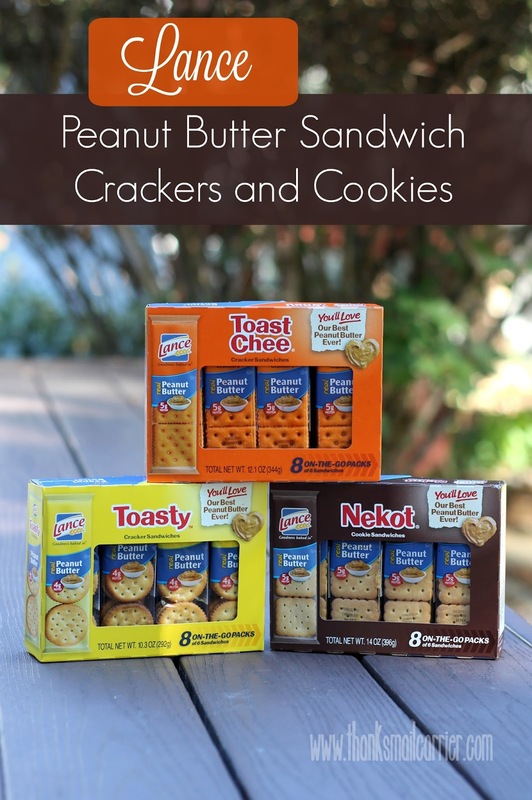 Either way, I love knowing that these options are waiting in the cupboard for anytime we need a quick bite to eat and the way that the box contains eight individually wrapped packages of six sandwiches really makes them the perfect on-the-go snack. At Lance, quality and taste are two of the most important factors when they evaluate the snacks they provide to families across the country and I appreciate that they have backed that up with their newly enhanced peanut butter. Whether you are a new or veteran Lance fan, you're going to want to give these a try! 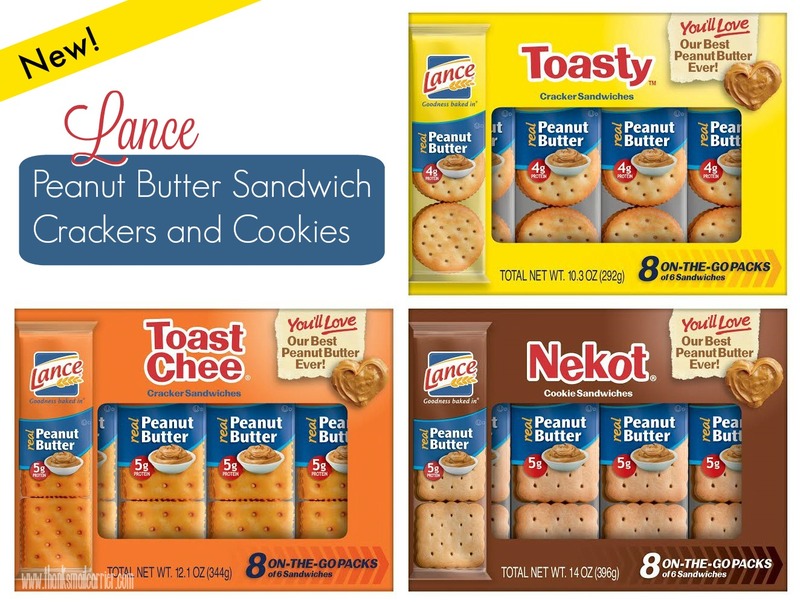 Lance peanut butter sandwich crackers and cookies are available now at retailers across the country (hint: use their product locator to find your nearest store), with a suggested retail price of $3.39. You can also find out much more information, nutrition facts, other products, and more by visiting Lance.com and connecting with them on Facebook, Twitter, and Pinterest. 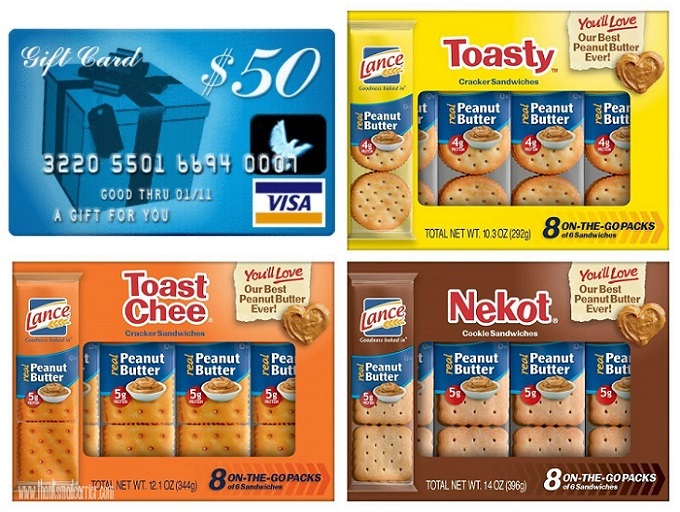 One lucky person will win a Lance Peanut Butter Sandwich Crackers and Cookies Prize Pack*! *Prize Pack includes a $50 Visa prepaid gift card and (1) each of the Lance Peanut Butter Sandwich varieties:ToastChee, Toasty and Nekot. Is that me? I certainly hope so. My girls cannot wait to try the peanut butter crackers!! !